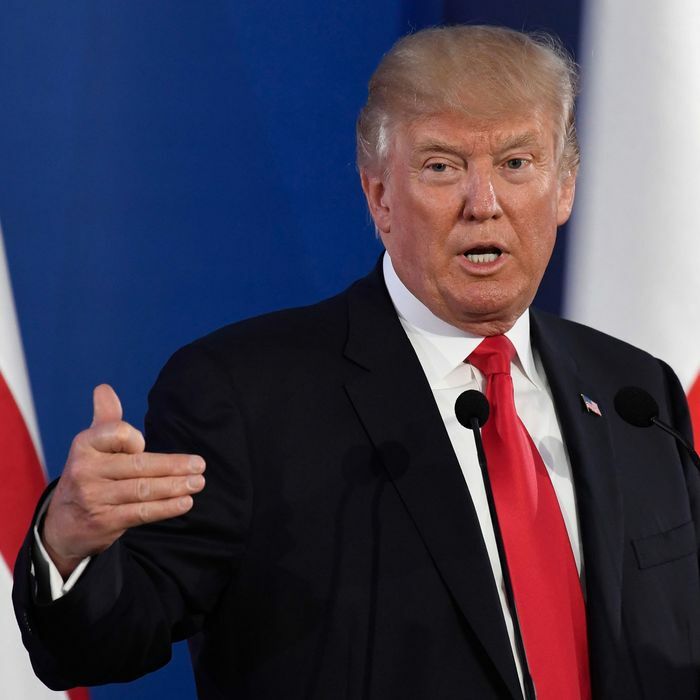 Speaking at a joint press conference with Polish president Andrzej Duda Thursday, President Trump warned North Korea that it faces “some pretty severe things” in response to the test this week of its first-ever intercontinental ballistic missile. It’s unclear what kind of “severe things” Trump has in mind. Already, the U.S. has responded by teaming up with South Korea for a ballistic missile drill meant to show off “precision targeting of the enemy’s leadership,” according to a statement from the South Korean defense ministry. U.N. ambassador Nikki Haley is also planning to introduce new sanctions against North Korea in light of the missile test. Whatever he has planned, Trump suggested that he won’t act rashly. “I think we’ll just take a look at what happens over the coming weeks and months with respect to North Korea,” he said.